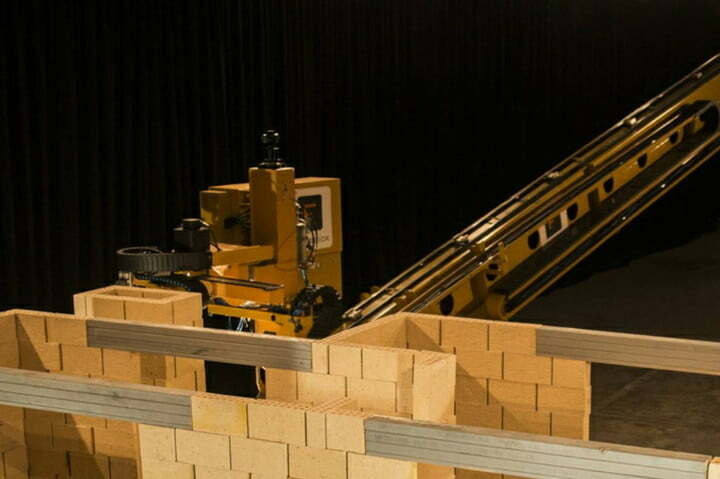 Australia’s Fastbrick Robotics wants to shake up the world of Bob the Builder with a new bricklaying machine that can build a house four times faster than its human counterpart. Don’t believe it? 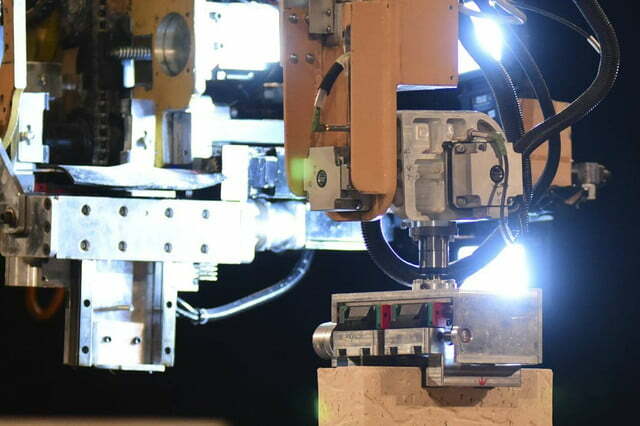 Check out this time-lapse video showcasing the effective build process and accuracy of the company’s Hadrian line of bricklayer robots. 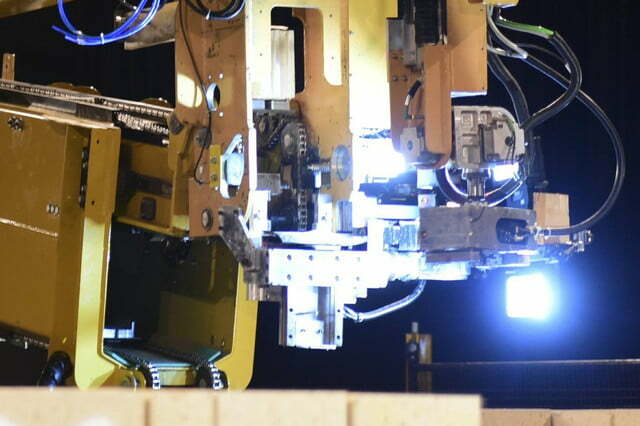 Unveiled last year, the Hadrian is an “end-to-end” bricklaying robot that automates the very labor intensive process of laying down bricks. 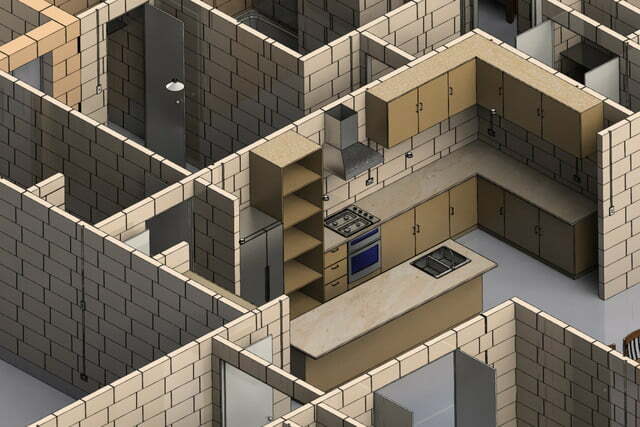 The Hadrian is being pitched as a game-changer capable of completing the brickwork on a house in just a few days at a lower cost and a higher quality level than manual bricklaying methods. After achieving impressive results with the Hadrian 105, the company is preparing to build the next generation robot prototype, the Hadrian X, reports Business Insider. The X model is even bigger and faster than the 105 model; which was built as a technology demonstrator. 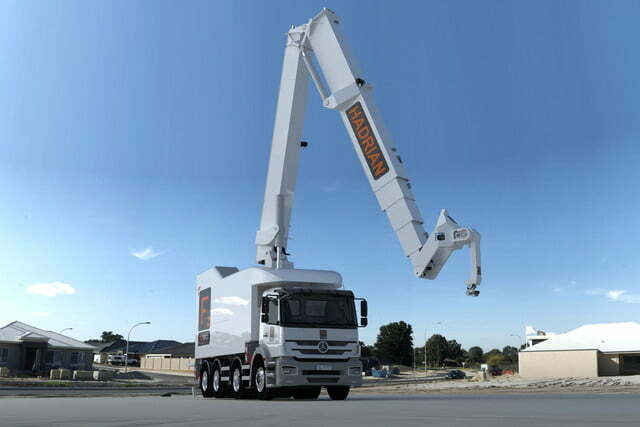 The Hadrian X features a 30-meter boom capable of placing bricks at a rate of 1,000 per hour as compared to a 28-meter boom and 225 bricks per hour of the 105. 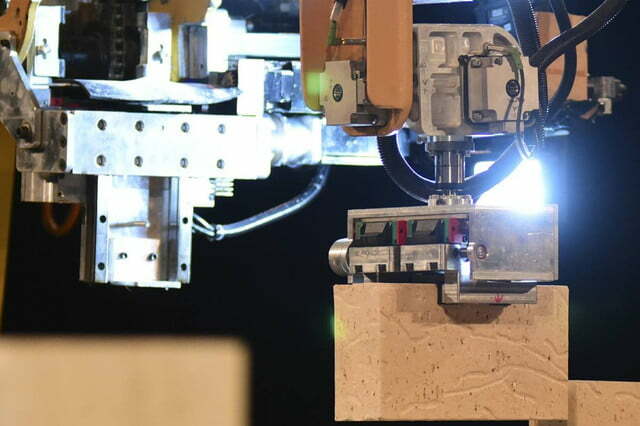 The new version of the robot can handle different brick sizes as well as can cut, grind, mill, and route the bricks to fit the structure before laying them down. Instead of a traditional mortar and rebar design, the machine uses both construction adhesives to hold the bricks together and interlocking precision bricks that are 15 times larger than standard bricks. 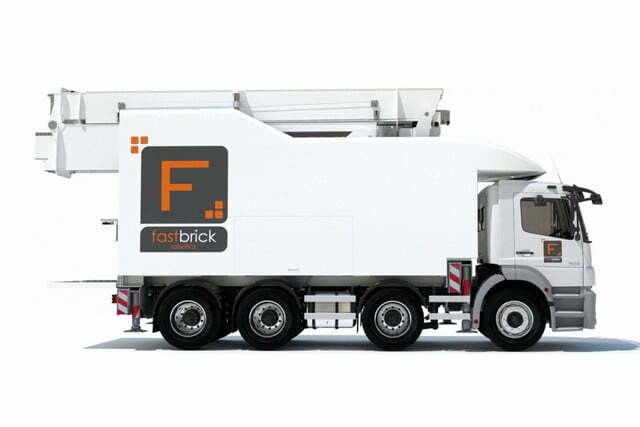 This system “will produce structurally sound wall to renderable quality at speeds never seen before”, said Fastbrick Operations Manager Gary Paull. Similar to the Hadrian 105, the bricklaying Hadrian X robot can be mounted on a truck and moved to a work site as needed. 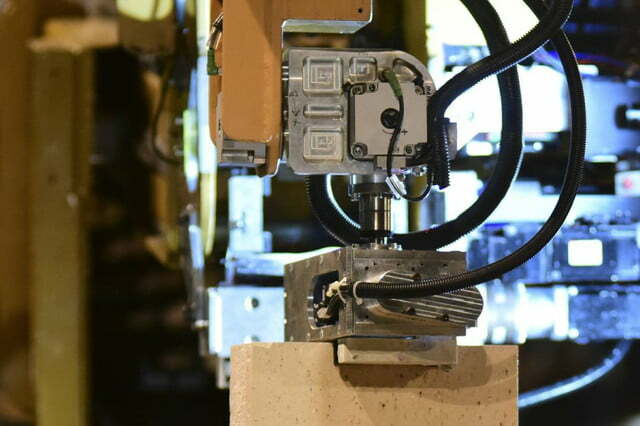 Once it is installed at a job site, the bricks are lifted off a pack and placed onto a shuttle that transports them either to a saw for cutting, a router for drilling or a transfer robot for laying. 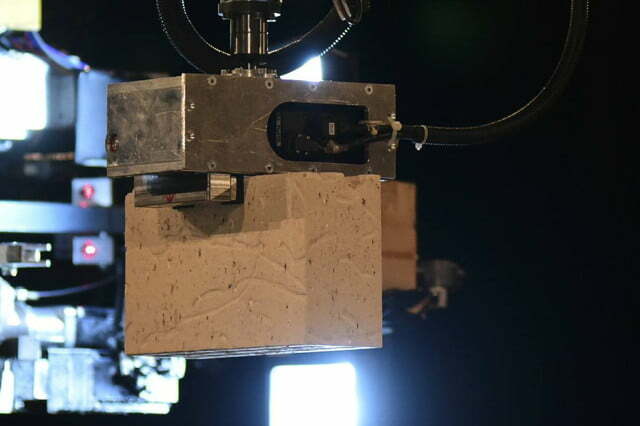 Bricks that are ready for laying move through a conveyor belt system within the boom arm of the robot. 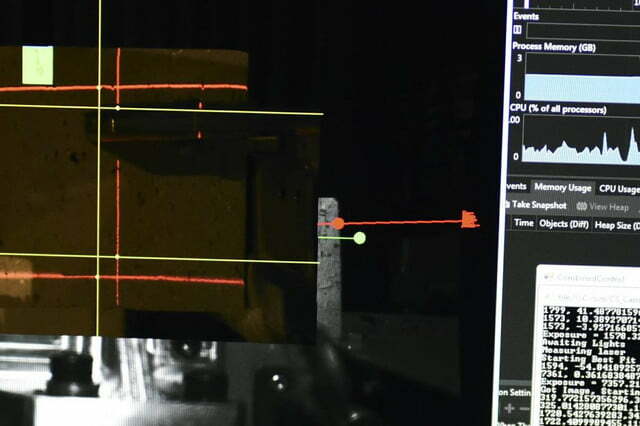 The bricks then are placed by a laying head that is guided using a laser tracker and a smart track sensor. The robot can be programmed to make room for doors, windows, wiring, and plumbing as needed. 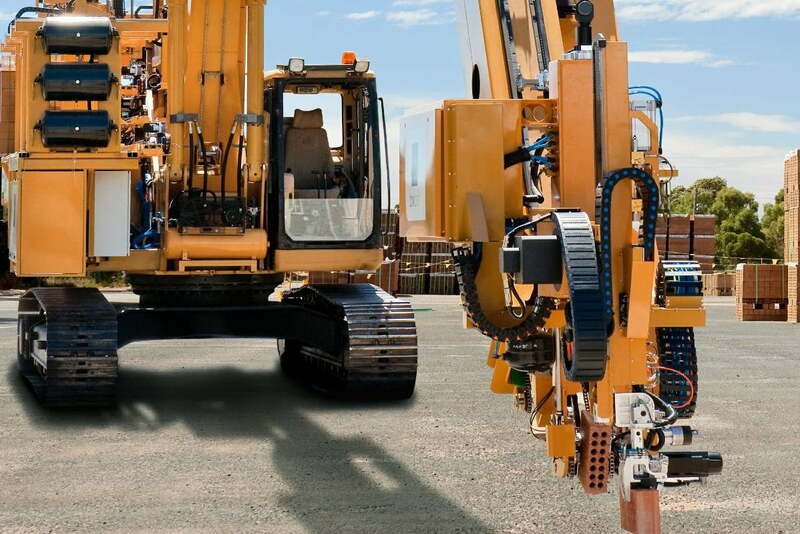 Working non-stop, the machine can build a house in just two days. The company plans to market the Hadrian bricklayer first in Western Australia and then to the rest of the country before offering it worldwide.